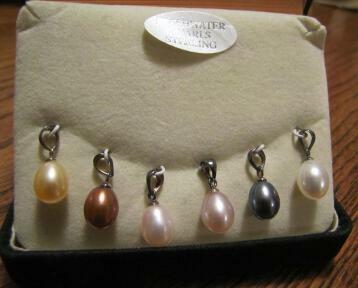 Beautiful set of 6 colors of genuine, freshwater drop pearl pendants in sterling silver from Zales jewelers. 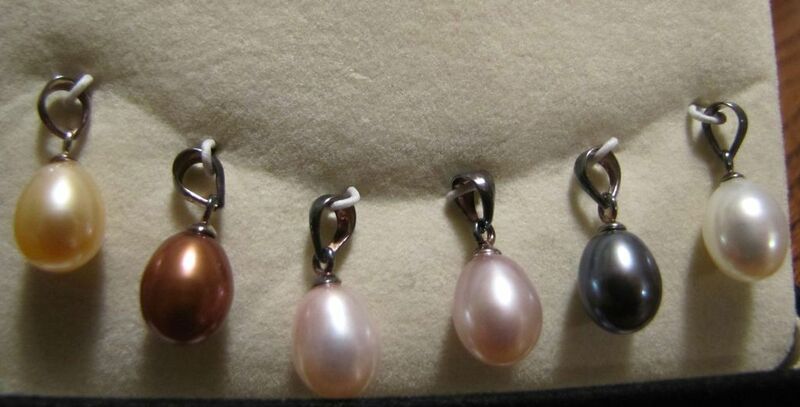 The set has the following colors of pearls; white, off white, champagne, copper/brown, light pink and black. 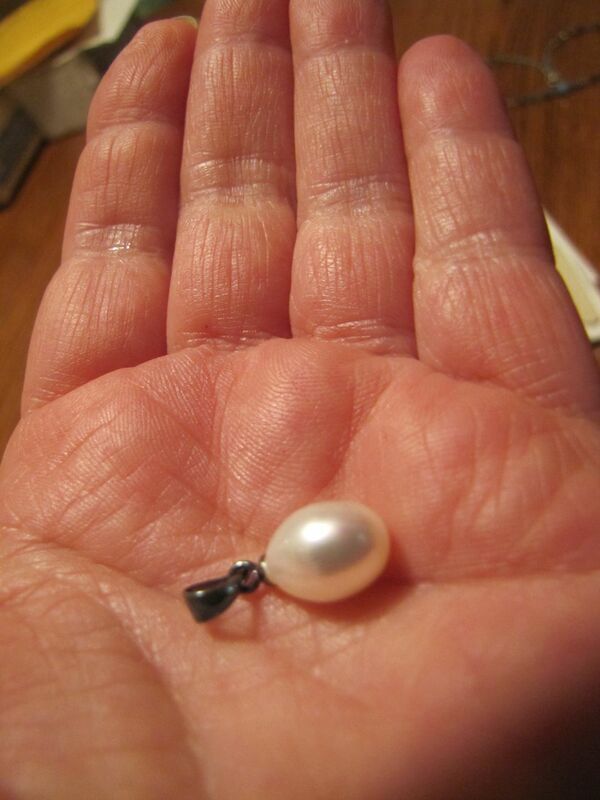 Each pearl measures 13 mm in length and is about 8 mm in diameter. 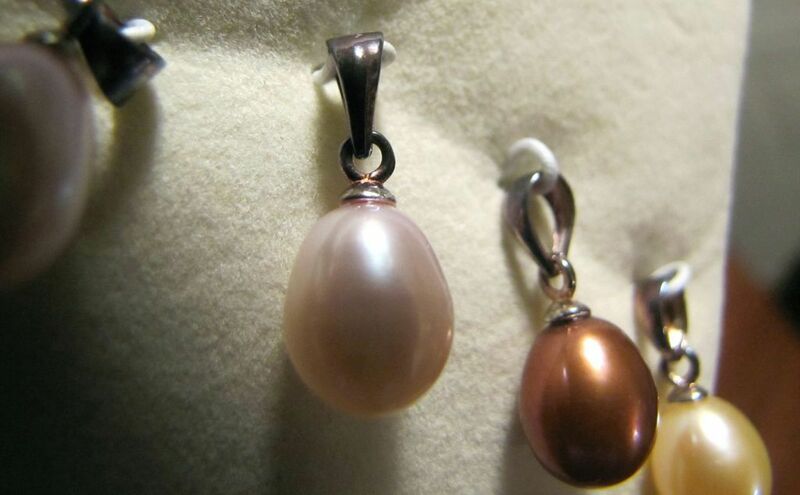 With the bail, the drop is 21 mm or about 3/4" in length. 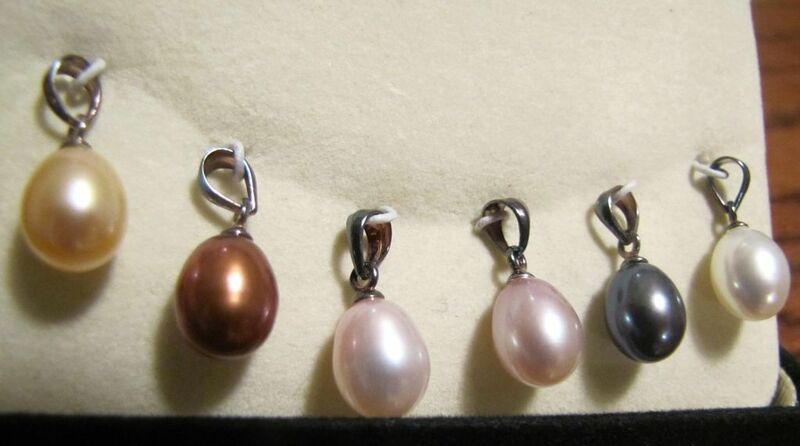 Each pendant is marked 925. 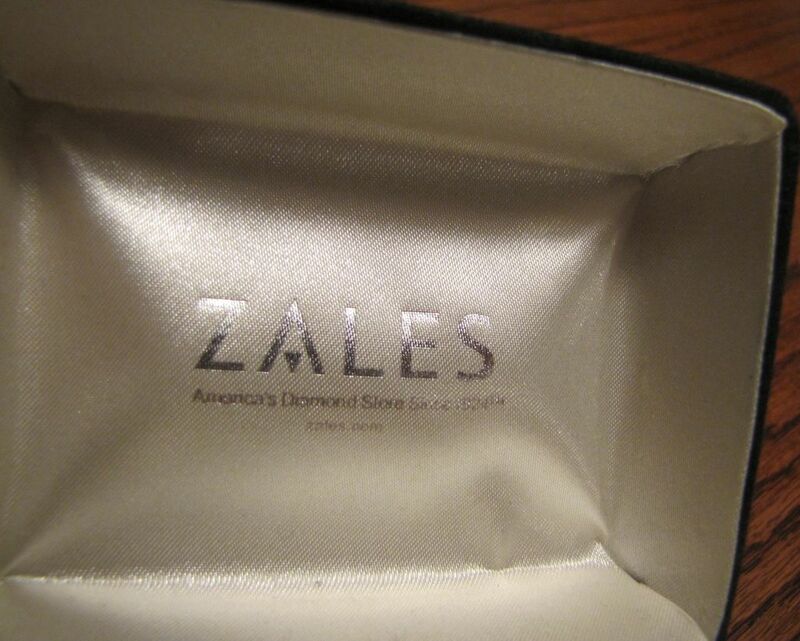 It comes in the original Zales jewelers box also. 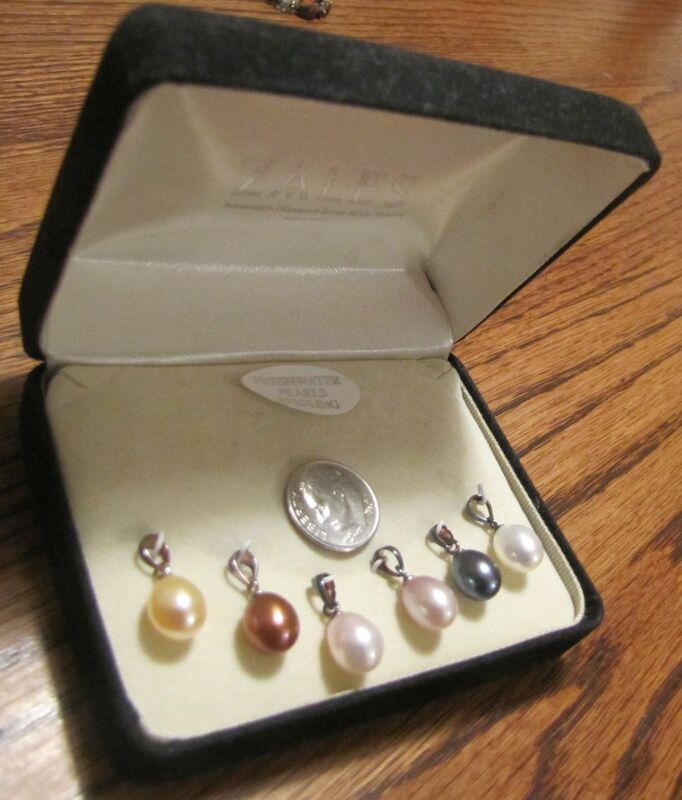 A great collection to match any outfit. You could also use any amount of pearls on a silver chain by adding spacers or using a chain made to hold multiple pendants.